Katrina Kaif Speaks Up About Her Mother And Neetu Kapoor’s Secret Alleged Meeting! [tps_footer]Katrina Kaif has been full of smiles and straight forward answers in a recent award show which was held to appreciate the achievements and contribution of strong women in every field. She even waited and posed for photographers who were more than excited to see this gorgeous actor in front of them and the clicks went nonstop to take the best shot of Katrina. She looked happy and not depressed with her alleged break up with Saawariya Ranbir Kapoor or her flop movie Fitoor starring Aditya Roy Kapoor, Tabu, which tanked at the box office. That’s the spirit, Kat !! Katrina Kaif dealt with the media questions very well and she didn’t shy away and didn’t even try to dodge a single question. We all know, a lot of Bollywood celebs follow no personal question policy and Katrina Kaif has always kept her personal life as private as possible. 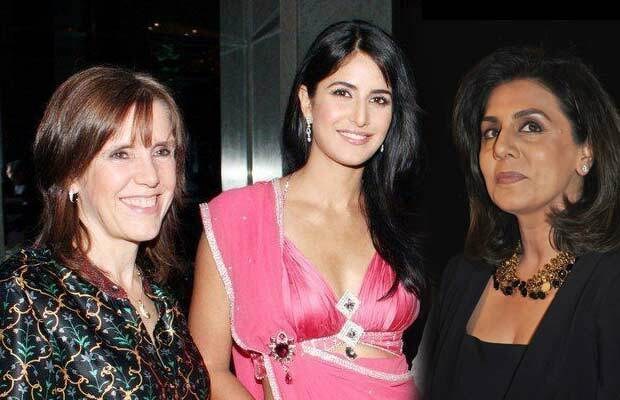 But, when a reporter asked her if her mother Susanne Turquotte is here in Mumbai with her, Katrina confirmed it and boldly denied the news that stated Katrina Kaif’s mother is trying to meet Neetu Singh to bring Ranbir Kapoor and Katrina Kaif together again. Katrina rubbished these fake reports of Sussane trying to play a peacemaker. On the contrary, it’s reported that Sussane Turquotte is here in Mumbai to undergo an operation and after that she will go back to Pondicherry. We wish Sussane good health and we hope things become good and pleasant for Katrina Kaif from now on and may she get more reasons to smile and stay happily successful. For now, on the professional front, Katrina has Jagga Jasoos starring Ranbir Kapoor as her next release and she will also be seen opposite Sidharth Malhotra in Baar Baar Dekho. Previous articleSonakshi Sinha Proves To Be A Shotgun Daughter ! Next articleWatch: Jennifer Lopez And James Corden Prank Leonardo DiCaprio!